Thank you for that translation I really enjoyed it. Love these guys they are amazingly!! I confirm Kate, they are really incredible, even for sympathy. Daniela, do we know if the questions asked by DF were based on real life experiences for the guys? For instance, did Ignazio actually set the car on fire and drive it into a wall? Or were the questions of a fantasy nature just to play on the boys sense of humor? Can’t imagine Piero actually making love on an airplane-doesn’t seem to be the type! Are the guys known to be as humorous in their private lives as well, or just for fun when they are on camera? What we see on video and interview, are we seeing the real, sincere personalities? I can’t figure out which is the real character of each and which is for show. I’d very much like to think they are sincere and genuine in all situations, as well they seem to be. I notice the word fool is still used in reference to Ignazio-I think behind all his kidding around, is a very sensitive person. One last question: Do mainland Italians view Sicilians as different culturally and ethnically? Don’t mean to bore you with analytical questions, but thank you. I study people. One thing is indisputable, they are real tremendous singers!! Also, you alluded to the fact that the guys are more guarded and controlled there when giving interviews for fear of the usual criticism following an interview-I assume the press? I didn’t think any public press could be more critical and “shark like” than the American press and tabloids here in the US. Most of the time they know no kindness in reporting on people in the public eye. Mark, you are so correct! American press is the worst, but I think all press is monstrous! Sorry Mark, the double answer, but first I had to close the pc quickly and it seemed to me that the answer was not registered. 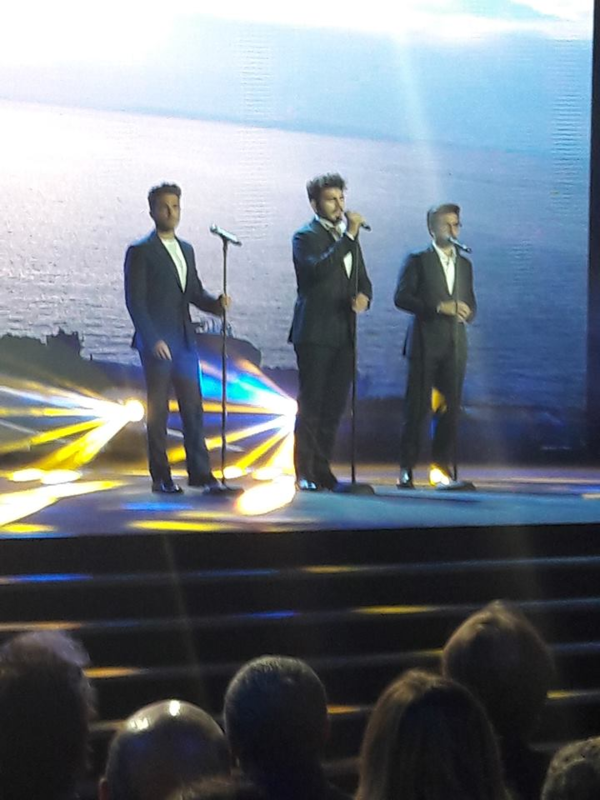 As for the fear of criticism of the press, you must know that the Italian journalists, have never been very kind to the guys of IL VOLO, they consider them haughty and not at all sincere, whatever they say or do is never well liked, for this , when the boys do an interview in Italy, or attend an Italian television program, the day after they suffer severe criticism. For this reason, when they are interviewed here in Italy, we often notice that they are not as casual as when they are interviewed abroad. Mark, they are really very honest and honest guys. Those questions are truthful and are based on statements that the kids themselves have made. I do not know if I disappoint you, but Piero has said very sincerely already a couple of years ago to have had this relationship by plane, the boys were asked what was their sexual fantasy and Piero replied that it was to have a relationship in the plane , to the second question he was asked if this fantasy had come true and he answered yes. Even in another interview he was asked a similar question and he confirmed, now is the third time I hear him confirm. However all the questions that have been addressed to the boys are based on their statements. The boys are absolutely truthful as they appear, there are no boundaries for them, everything is sincere. It does not seem to me that the word “crazy” addressed to Ignatius was used, the strong word is “idiot” (the translator reports crazy), but it is addressed by Piero to Gianluca, because he did not wait for the second answer, but also this word was given in a playful tone, between boys who make fun of each other. It ‘s absolutely true, there were once substantial differences, the northern boys were considered very workers, the boys of the south, very passionate, jealous, excellent lovers, but now it is not like that anyway, the people of southern Italy is very warmer and Gianluca, Piero and Ignazio play a lot on this character. Do not worry, I like answering your questions. Yes, Mark, I can assure you that the questions made to the boys are statements that they themselves have made at other times and I can also tell you that the boys are really as they appear, very sincere. As for Piero, himself in an interview two years ago, said he had a love affair on the plane, and has also confirmed it other times. As for the word “crazy”, it was not intended to Ignatius, but said by Piero to Gianluca, who had not waited for the second expected response, in any case was said in a joking tone, but unfortunately the translation does not take into account the tone nice!! In any case, the right word is not crazy but “idiot”. As for the differences between North and South Italy, the stereotype confirms that in the north the men are great workers, in the south they are fiery lovers, jealous, very possessive ….. and Ignazio Piero and Gianluca joke a lot this fact. Do not worry about asking me questions, I like answering. Daniela, I hope I did not sound as though I have doubts about the three guys honesty, integrity, and character, as I have great respect for their seeming genuine and humble personalities and I admire them and their outstanding talent and resultant career. Over here we are aware that celebrities can have several sides to their personalities-some are not so genuine. I just want to believe that, for the most part, when I look at “the Trio” and listen to them, that I am seeing, the REAL thing-that’s how much I like and enjoy them. Sometimes they seem too good to be true as real people, in an age of celebrity worship and all that goes with it. Mark, do not worry, I understand you very well, they are really so disarming in their being “real”, not built at all. However, those who knew them personally talk about them extremely well, like really simple and kind boys. Grazie a te Cynthia, I’m happy to have had fun. First of all, many, many thanks to Daniela for her translation. Ignazio has a wonderful sense of humor, definitely not a “fool”. Mark, those are great questions. The boys have been interviewed so often and I have heard those same answers over and over. Sooo, I assume they are true. I did not know their shoe size but Igna has been teased about his big feet by Piero many times. By the way size 46 converts to USA size 13. RoseMarie, we are talking about shoes, do not cut clothes. I do not mean American shoe sizes, but I think that maybe for you it’s a fairly normal measure, for us Italian shoes n. 46 are great !! Thanks to you that you liked RoseMarie. You know well the interviews of the boys, so you know that what they say has already been said other times … and it’s true !! Ignatius is too nice, spontaneous as a child, adorable! Daniela, Thank you so much for the translation. Ive watched the video two or three times, hoping to gather more of what was said. This translation helps us to enjoy the trio’s fun. I am very happy if you enjoyed Leslie and even if you have taken other details. It is difficult for the translation, which is only a translation, to grasp the nuances of the voice and the tone with which things are said. Daniela, thank you seems so lame for this translation. We appreciate you so much for taking the time to translate and send this to all of us. We loved reading what was said in the interview. The videos were such fun to watch. I also wonder if there is any video of the concert in Rome that the boys talked about. We can hardly wait to see the boys in the USA. Hugs and love to you for your diligence in keeping us all informed to the fullest. Victoria, thanks to you, you were the first who asked me to translate this video. I hope that the joking and friendly sense of the boys could be understood, combining the translation to the video. You mean the concert in Rome you attended, or the last concert they did for Jeunesse? Daniela, I heard reference in the above interview of a Rome concert. Perhaps I was confused and I thought that concert was after their appearance that you just translated. The boys were delightful and we’re watching the videos again and again. Victoria, in fact, in the interview they talked about Rome, but in the sense that they had to return to Italy, because they had to do a concert, but I think they were referring to the Cervia concert. Victoria, when you find videos and you’re interested in the translation, ask me, I’ll do it willingly. Daniela, you are usually seeing events and translating them for us. 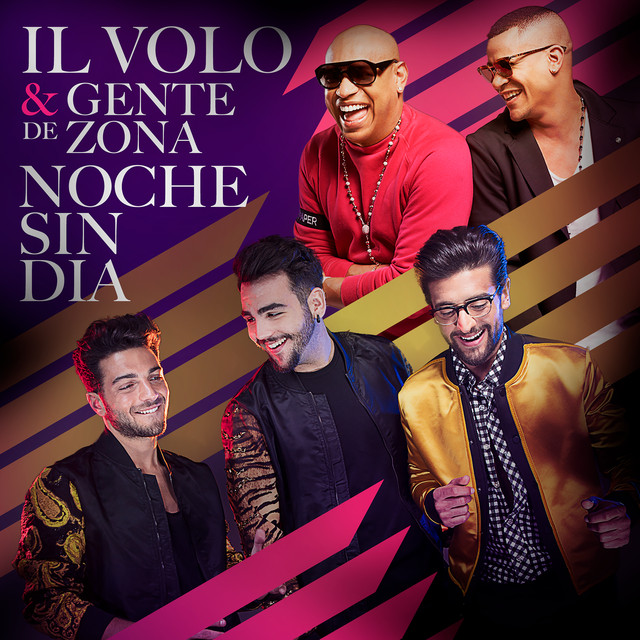 I watch for anything that has anything to do with Il Volo. You are usually on top of everything. I did enjoy the translation of this show the boys were on. They looked like it was terrific fun for them. I got quite a kick out their antics. Hugs from the USA. do so appreciate getting some sense of what they say. Thanks to you Arlene. I agree with you, they are always so talented and humble. Thank you Daniela, It is great to know what the guys said. Ciao Sue, I’m glad you liked it. Are you going to see them in December in Eastern Europe? Grazie,Grazie ,Grazie Daniela !!! I can’t thank you enough for this wonderful translation !! I watched the show on my TV when it was aired on Telemundo and I enjoyed every minute but had wished I could understand what they were saying !! Now I know thanks to you !! The guys were so relaxed,talkative and funny !! It was great fun watching them !! I hope they come back to America soon !! We miss them !! Thanks to you Joan, now you know what they said and you confirmed their sympathy and genuineness. Thank you so much Daniela. This program was so much fun to watch and now even more fun that we know what they were saying. I hope you don’t mind if I share this. Hello Laura, I’m very happy that you enjoyed it and I’m glad you want to share it, no problem on my part and I also believe by Flight Crew. Ciao amica mia!! Grazie per la traduzione, Daniela! I actually arrived home from Europe on the day it was aired, and recorded it in case I fell asleep! To my surprise I understood alot of what was said…however your translation confirmed what I thought and help me to understand more! Now I will watch it again and be able to understand it all!! You know that my love for these three wonderful, talented, beautiful young men, brought Italy and Sicily to me in many ways. I can honestly say, I would not have even thought about pursuing my Italian citizenship, if that trip to Italy/Sicily with the Granny Groupies had not happened in 2015!! …and I am proud to say “I am now an Italian Citizen”! I have been fortunate to have had many more encounters with them since then and a few concerts even before. Deborah, I am so thrilled with your Italian citizenship. How truly wonderful for you. We fell in love with Italy and can hardly wait to return. You are truly blessed to have had time with the boys and I’m speechless that you get to live there. We all wait to hear more about your travels and time with the boys. Thank you for sharing so much. Hello Deborah, my dear American friend, Oops, sorry you’re now an Italian citizen !!! I was so happy with your citizenship, now you can come and stay as long as you want. I’m glad you liked the translation, and I had no doubt that you began to understand the meanings, you were among the Italians several months and you’ve got to understand our language. I am very happy with your testimony that you wrote about the various meetings with the boys, you were lucky enough to meet them several times and you really could see how kind and humble they are. I hope Mark, who commented at the beginning, read what you wrote. I too am very happy with all the beautiful friendships I found thanks to IL VOLO, and I’m very proud of it, I have friends everywhere with whom I exchange opinions every day: thanks to Piero, Ignazio and Gianluca !! Ti mando un grande abbraccio, l’Italia ti aspetta presto!! HI Daniela I want to let you know I have been scouring my internet trying to find what I had been reading to finely find out that the name Gianluca is a common name in Italy. I remember one man by the name of Gianluca was a millionaire owning some company & the other man was working in a restaurant at least I remember seeing food around his picture. I am not in the habit of spreading rumours so this was all unintentional certainly especially not our precious Il Volo. Also I had really thought what I had read because I was waiting for pictures of his wedding to be posted so I am certainly glad he isn’t married. Also Daniela I forgot to mention thank you for tanslating the above interview the boys had. Wouldnt it be wonderful if we could be there in person. Your a super lady it shows you love them very much as we all do. Hello Loretta, it’s always nice to hear, it’s true, Gianluca is a fairly common name in Italy. Do not worry about finding the news of the wedding, we know for sure that it was false and when you read it you must have amazed you a lot, just like all of us. I know that you do not like to gossip, even more so if you have doubts about what you are reading, ask for confirmation here on this site that is very serious and reliable. Of course it would have been great to be all present at the boys’ interview, especially because they were really very happy and cheerful. Many thanks Daniela for making this very nice interview understandable to all of us. I enjoyed reading your translations ~ returning to the full interview and understanding and appreciating our Il Volo phenomenon so much more!!! Ineke, this morning I was thinking of you and I was wondering if you had read the translation of the interview we talked about you and me. I’m very glad you liked it. Eleanor, thanks to you that you read and appreciated !! Thank you Daniela for the translation of this interview. Gale, I’m happy to make your day and I really hope that the concerts come close to your home so that you can participate.